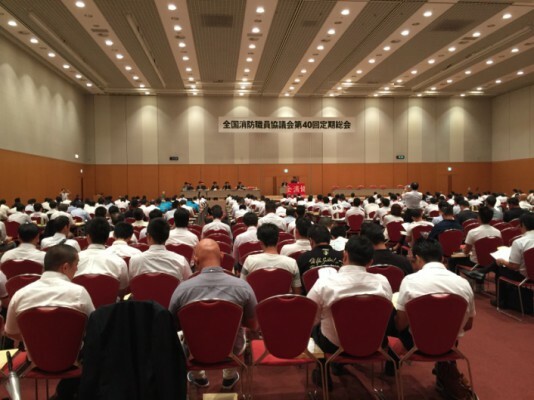 ZENSHOKYO’s 40th Annual General Meeting was held on August 29, 2016, at the Fukuoka International Congress Center in Fukuoka City, Fukuoka Prefecture. 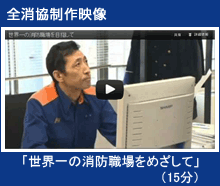 A total of 439 comrades participated from all over Japan. In accordance with the agenda, the FY2016 Activity Report and Financial Report, followed by the Draft Action Plan and Budget Proposal were presented by the union executive and were approved after a question session for all four items. 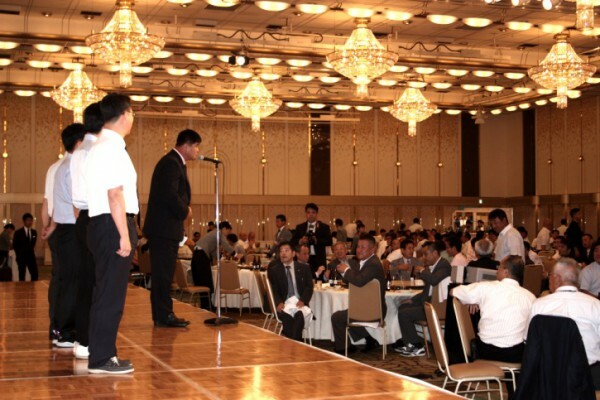 After the General Meeting, a Commemorative Event for the 40th Anniversary of the Founding of ZENSHOKYO was held, with the journalists Tetsuo Suzuki and Shuntaro Torigoe giving commemorative speeches on the firefighters’ right to organize. 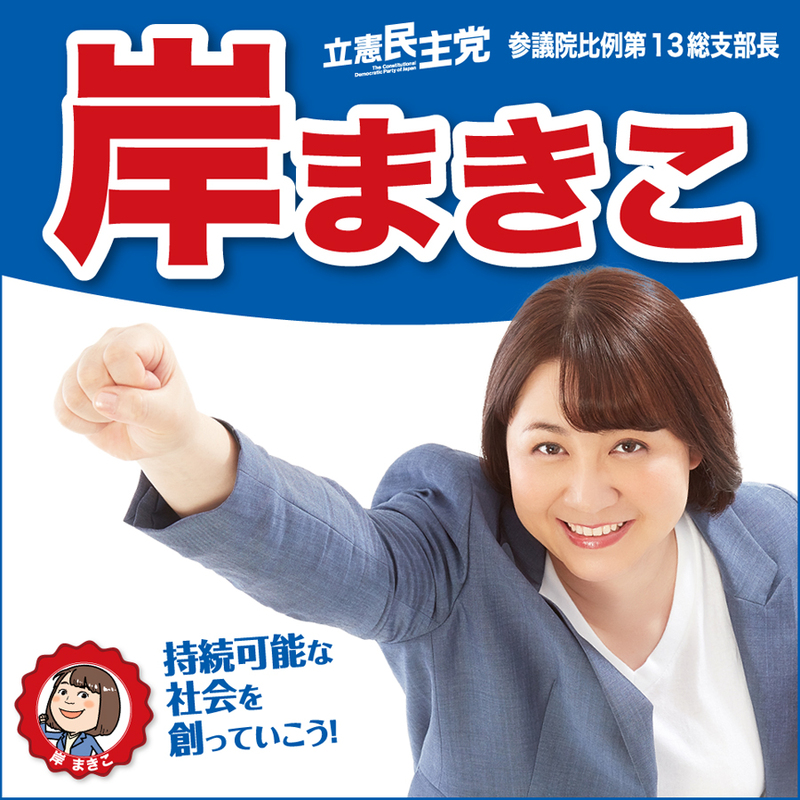 The event then moved to the Hotel Nikko Fukuoka to stage a grand commemorative celebratory party, to which former union presidents and executives were invited. At the opening ceremony, a performance was given by a women’s Japanese drum group, and activity reports were heard from representatives of the Youth Group and Women’s Liaison Group. In addition, as one part of our international solidarity activities, a delegation of six members including President Park Hae-Gune of the Republic of Korea Fire Fighting Development Conference (FFDC) participated in all the events from the General Meeting. Furthermore, a congratulatory video message from Secretary General Rosa of PSI was also screened during the celebratory party. Copyright 2009 ZENSYOUKKYO All rights reserved.